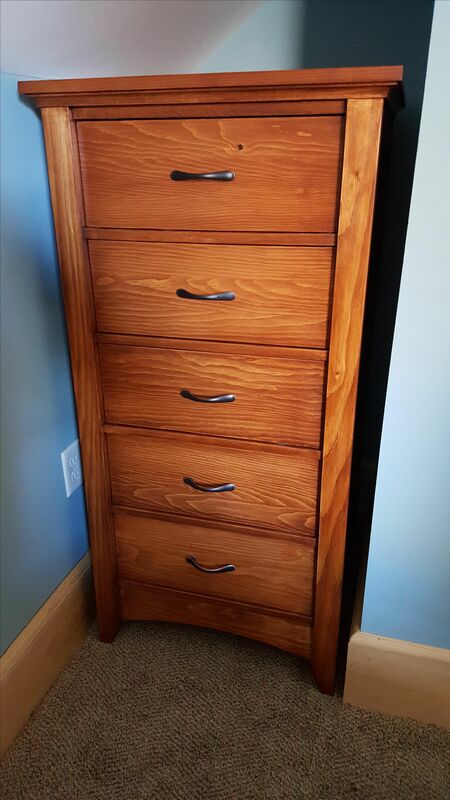 Classic lines, solid woods, and cabinet-grade plywood describe this high quality chest of drawers with soft-close, full extension slides. Baltic birch drawer boxes. Can be customized to any wood, size, dimensions, color, finish, and/or drawer pull style. 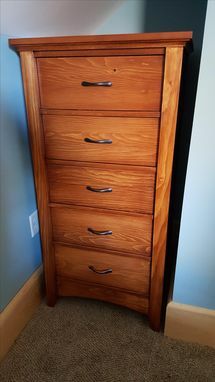 Price as shown is for dresser in white pine, D Select grade. Prices for other woods will vary, so please ask.